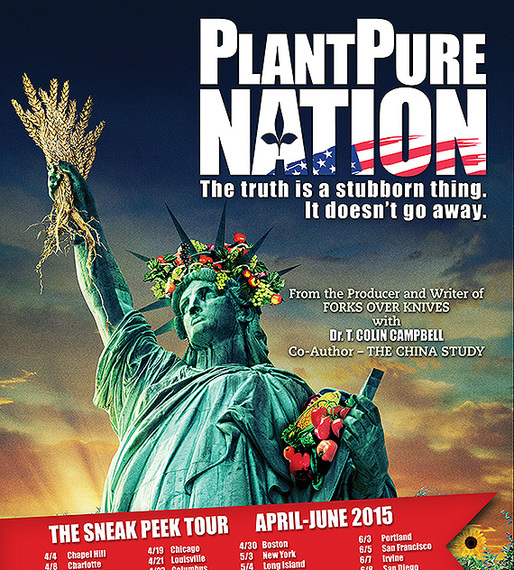 This week, I went to see PlantPure Nation in Seattle with two vegan gal pals that I got to go along with me! 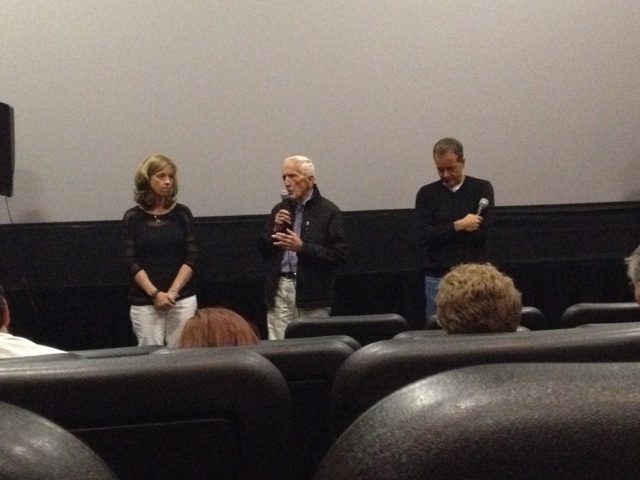 After the film I got to meet my #1 hero, Dr. T. Colin Campbell, as well as his son, Nelson Campbell who produced the film, plus Dr. Campbell’s wife and Nelson’s wife, Kim. 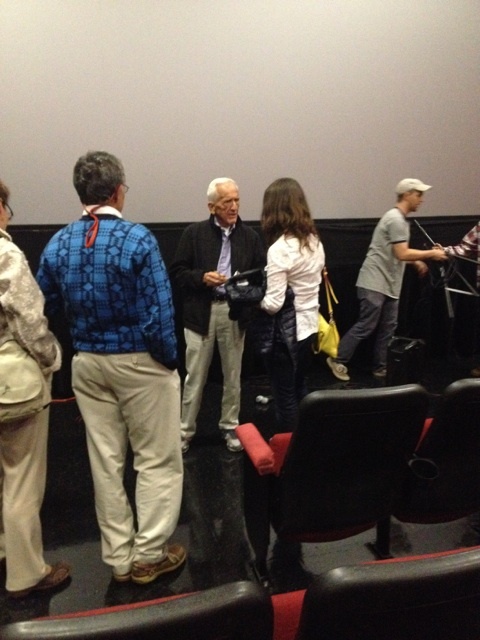 It was extremely exciting to get to meet this “true living legend”, as one of my friends wrote. 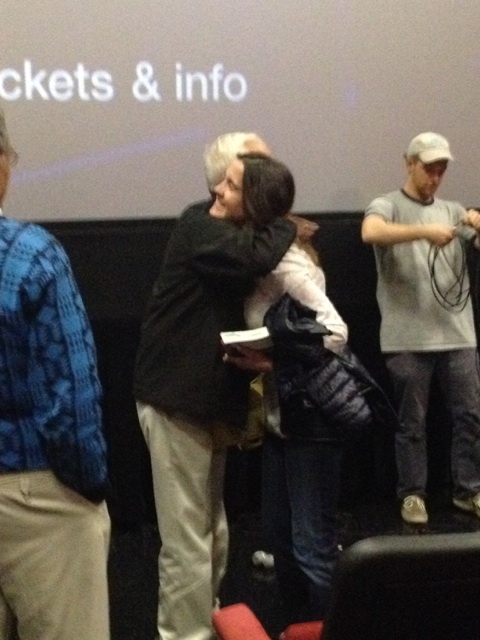 I was truly honored to meet this man who has had such a huge influence and impact on my life! As some of you know, I’ve read his book “The China Study” twice, taken his eCornell plant-based course, as well as read his other book, “Whole”. I have no real celebrity crushes…you may call me weird, but Brad Pitt or George Clooney could have walked right by and my focus would have been right there on this incredible human! Why do I admire this man so much? Because not only is he absolutely brilliant, but he’s someone who truly cares about other people! He’s a “mover and shaker” in his field when it comes to diet and health! He speaks the truth about meat and dairy – and has worked tirelessly to improve the health care crisis in this country despite great opposition. And he continues to travel around the country, delivering his empowering message of why a plant-based diet! 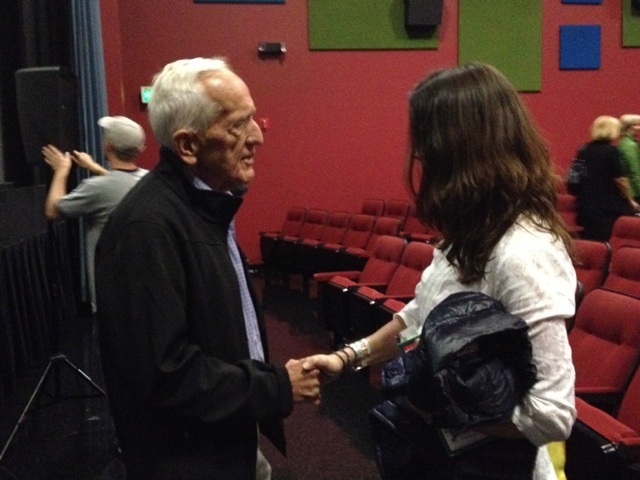 He was so incredibly kind and listened! 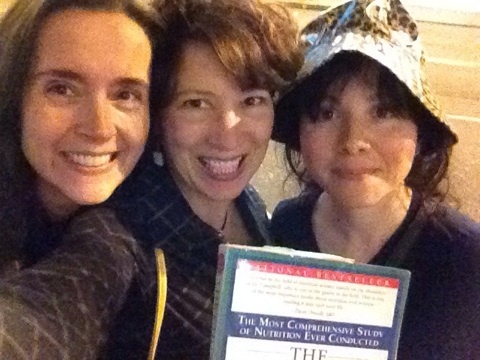 …and that’s The China Study, that I’m holding out in front, which he signed for me! Have you read it yet? Again, it’s my #1 favorite book out there! Let me know what you think about the film after you see it or after you have read the book! Here’s a Big Cheers to One Big Happy Plantpure Nation!